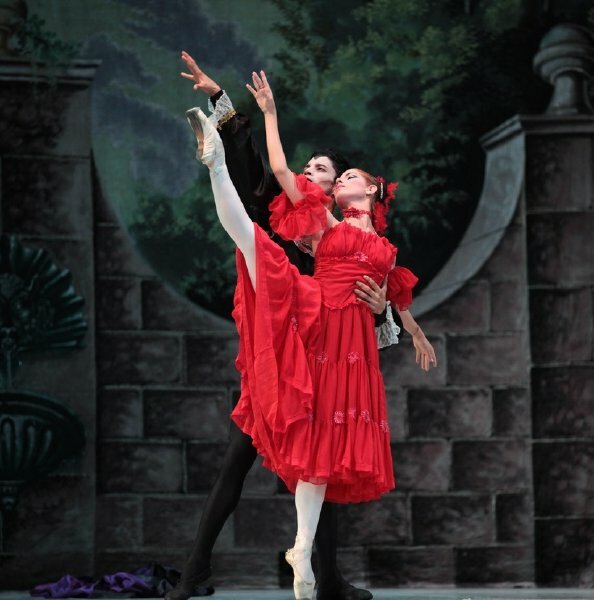 Classical ballet promises to shine in the “Armando Manzanero” theater with the presentation of the Cuban ballet company Prodanza, directed by grand maitre Laura Alonso, whose company leaves behind the classics of dance to present a different and captivating work: “Dracula”. The function is scheduled for Saturday, September 29 at 6:30 in the afternoon. The aforementioned dance company will tour the country, which will begin on September 28 in Cancun, and end on November 13 in Aguascalientes. They will visit over 41 Mexican cities in two months. Roberto González, promoter of the event, highlights Laura Alonso’s Prodanza international recognition. Laura is the daughter of the world famous legend Alicia Alonso, Cuban prima ballerina assoluta and choreographer, whose company became the Ballet Nacional de Cuba. Laura forged her own path of success, because she stands out as a dancer, teacher, director, choreographer, researcher, among other areas. The grand maitre de ballet is a professor at the Higher Institute of Art of Cuba and president of the International Association of Dance for the Americas (AIDA), and has received numerous awards and distinctions from remown institutions in several countries. This speaks of the quality of the Prodanza ballet company that she directs, which has made successful tours in countries like China. In the tour programmed by Mexico, the company will present the play “Drácula”, with a libretto by Laura Alonso herself and choreography by Nana Badrena. The company will arrive with a cast of 30 dancers of high level, great production, wide deployment of scenography and colorful costumes. The work lasts one hour with 45 minutes and is presented in two acts. In addition to Cancun and Merida, Dracula will be presented in cities such as Tuxtla Gutiérrez, Orizaba, Puebla, Veracruz, Queretaro, San Luis, Irapuato, Zacatecas, Monterrey, Guadalajara, Saltillo, Torreón, among many others. The promoter of the show affirms that it is a first level staging, with the quality that supports the outstanding career of the director of the company, who is today one of the most famous ballet directors in the world. The locations are: preferential lunette, $ 725; intermediate, $ 625; general, $ 525; and balcony, $ 425.